I love things that are made to look like something we all know and love. If you noticed the 10p purse from my November Wishlist and the Frosties compact mirror in my 10 Gifts Under £10 post then you'll know that this is right up my street. So I was about to do a post on 10 cool clutches and was just looking for the last two to add to the list when I spotted the Crisp Packet 18 carat rose gold clutch by Anya Hindmarch. Now that's one packet of crisps you won't be throwing away in a hurry! So I decided to pay a visit to the official website to see more of Anya's fascination with making the everyday extraordinary. Believe me when I say, I felt like I was in a sweet shop! I fell in love with everything and it was too difficult to pick ONLY two bags. I want to show them all off! These bags needed a blog post all of their own! So what I've done is show you some of my favourite ones, because some I like to eat too (not the bag or course!). And I'll leave you to go and have a browse for more wearable art. I love them all not just because they look so realistic but because they remind me of everyday. Every morning, every tea break, every chilly winters evening and every time I have to put the washing on! 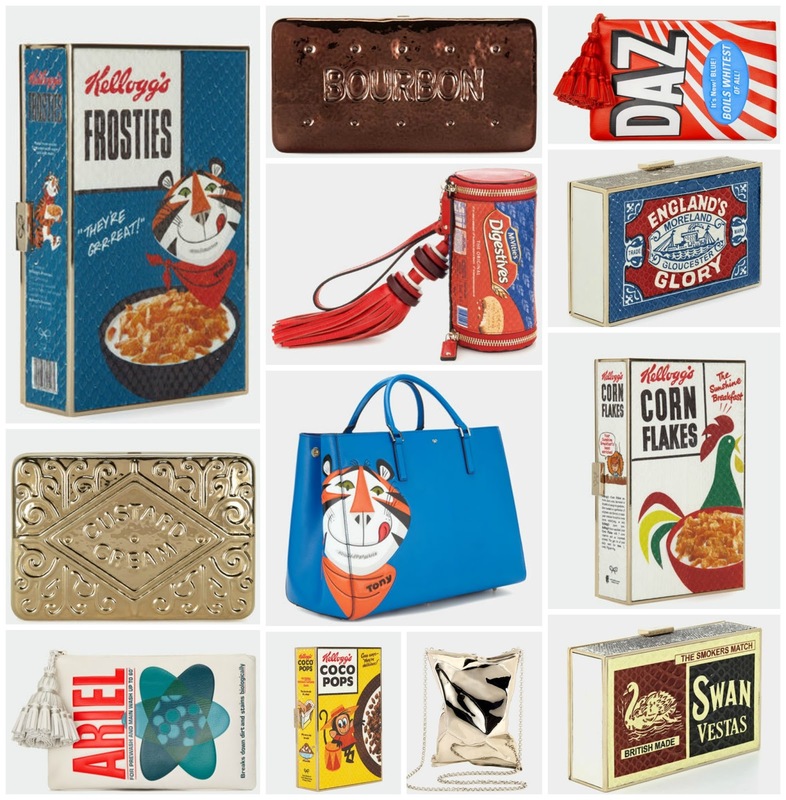 I think my most favourite one and the one I would use everyday is the Frosties Maxi Featherweight Ebury. I especially love the black one ......but I like the blue one too.